Age comes with unaesthetic wrinkles all over our skin. The wrinkles on our face can prove especially disturbing because they are more visible and can be totally removed by cosmetic surgery only. The skin surrounding the eyes proves especially prone to wrinkle formation because of its sensitivity and thinness. Here you will find wrinkles in the eye area known as crow’s feet. 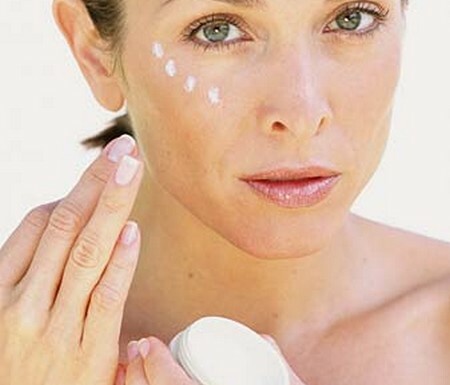 If you take care of the skin around your eyes early, you can postpone the wrinkles’ appearance. You can find a wide variety of anti-aging eye treatments on the market; as such, choosing the right one can prove confusing. Even if you don’t have wrinkles right now, know that the skin around your eyes will first show aging signs because of its delicate nature. Sometimes the formation of wrinkles appears even worse due to under-eye bags and dark spots on the skin. Wrinkles appear because of exposure to the sun, gravity, low production of collagen and elastin in the skin, pollution, stress and many more factors. You should use an anti-aging treatment for the eyes every day, whether you have or don’t yet have wrinkles. Detect your problem and procure a high-quality product that treats it. You can find many different products for wrinkles, dark spots or baggy eyes. Choose a treatment that addresses your problem to garner the best results. You can also find treatments that combine ingredients for all skin problems, but they generally prove less effective in terms of healing a specific aging factor. Carefully read the labels before choosing a certain anti-aging treatment for the eye area. If you want to target wrinkles or fine lines, choose treatments that contain high doses of vitamin C. Vitamin C, among the most powerful anti-oxidants, will trigger collagen secretion in your skin. Also look for caffeine, copper and AHA on the label. These ingredients work well in treating fine lines. If you want to get rid of bags under your eyes, look for products that contain hydroquinone or vitamin K.
Take care of your skin every day, making sure you hydrate and clean it with quality products. Apply the anti-aging eye treatment every night by massaging it into the skin near the eyes, using soft, circular movements. When you remove your make-up, also use circular movements and don’t rub your skin too hard. Any repeated, aggressive movement will hurt the delicate skin around your eyes and make it less supple. Be patient. Results won’t show in a couple of days, but if you apply the treatment on a regular basis your skin will look smoother and you will prevent the appearance of new wrinkles. Wear a hat and sun glasses when you walk exposed to the sun, and maintain a healthy overall life style. Avoid stressful situations, eat well and sleep well to keep your skin looking younger.